Many people think the camel does store water in its hump, but it does not. Instead, the camel stores something else there, food. The camel’s hump is really a hump of fat. When the camel, often called a “ship of the desert,” is not traveling and is in a place where there is plenty of food and water, it eats and drinks great quantities. As it does so, its hump rises from the fat its body produces. Then, when the camel is traveling across the desert and food is scarce, it can live off this stored fat. A camel can go for days or weeks with little food or water. However, when its hunger reaches the point of starvation, its hump shrinks and may even slip off its back and hang down on its side. Camels are not fussy about what they eat. Thorny plants don’t hurt their mouths; grasses of any kind will do and so will hay, dry grains, cactus, or dates from trees. 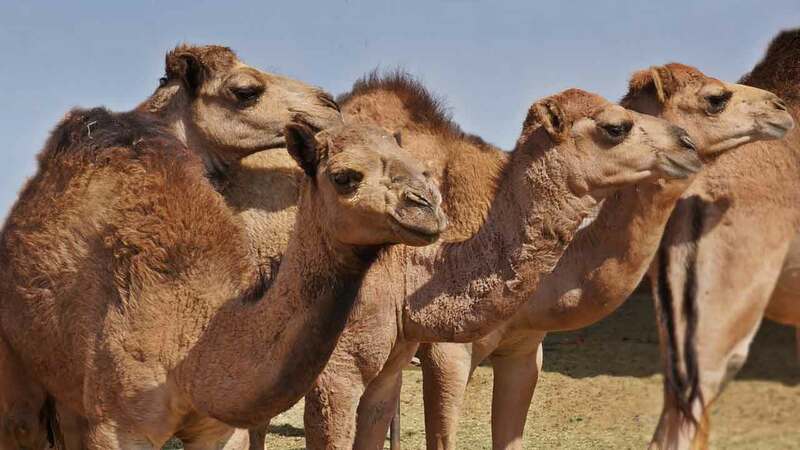 There are one-humped camels and two-humped camels. Camels with one hump are called Arabian camels, or Dromedaries, and come from North Africa. Camels with two humps are from Asia, and are called Bactrian camels. If food is scarce, a camel will even eat its own bridle or its owner’s tent. Does a Camel’s Hump Start to Disappear if it Does Not get Enough Food and Water for a Long Time? A camel’s hump doesn’t disappear completely if it doesn’t get enough food, but it gets floppy and bounces around from side to side. As most of us know, a camel’s hump is in fact composed mostly of fat, and it is not used to store water. The fat reserves in a camel’s hump is used when food is scarce and it turns out, it is often the case in the dry deserts camels live in. So what do you know about the pack llama, the mule, or the water buffalo? Even though they work alongside people, we really don’t know as much as we should about these animals. For instance, what happens when you cross a pony and a zebra? How did the reindeer get its name? What is the Difference Between a One-Hump Camel and a Two-Hump Camel, and What are they Called?